"We will take you where you need to GO!" Education is your children’s stepping stone to success. At Let's GO Inc., we make it our mission to provide your children with a comfortable and enjoyable ride throughout their learning journey! 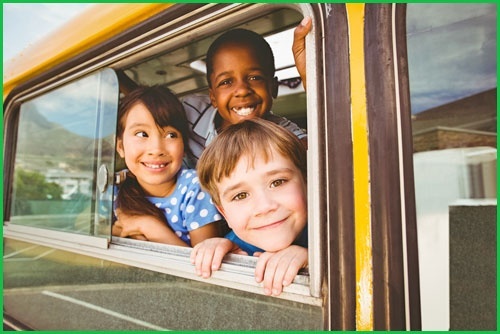 Take advantage of our school transportation programs today! As the premier school transportation company in the Metro Area, we promise safe, convenient, and hassle-free transportation for your children to and from school. In the Metro Area’s school transportation industry, Let’s GO Inc. is a name trusted by many. We have been serving various communities in and around the city since 1995, providing families and learning centers with quality school transportation solutions. Equipped with child-friendly buses that are manned by trained drivers and first-aid professionals, our school transportation company guarantees safe trips for our students every time. For your peace of mind, we are fully covered by a commercial insurance plan. At Let’s GO Inc., your children’s wellbeing is just as important to us as it is to you. We took an oath to place your little ones’ safety above all, so rest assured that we will go above and beyond to keep them safe in every school trip! Register your children in our school transportation programs today. To quell your doubts, feel free to browse through our website or consult our representatives for more information about our company and services. We look forward to serving you!